FRAME 21.5x29.5xD3cm Made from recycled products. DESCRIPTION AKA Giant African swallowtail. 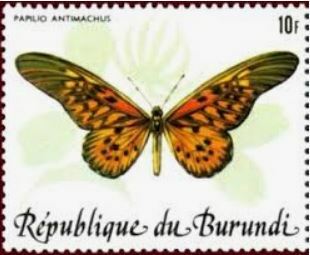 The largest butterfly in all of Africa with wingspans up to 23 cm. The African giant swallowtail inhabits tropical forests up to 1,500 metres above sea level. Male African giant swallowtails are often encountered near streams or damp mud while the smaller females often keep to the tree-tops. They the most toxic of butterflies therefore have no known natural predators. !